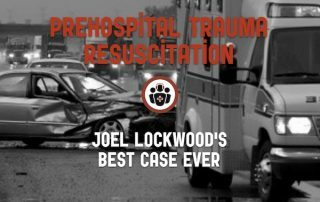 In this EM Cases podcast Dr. Joel Lockwood tells his Best Case Ever of a prehospital trauma resuscitation, bringing to light the challenges faced by EMS with the complicated trauma patient. He discusses the importance of checklists, practice and simulation to help streamline the process, offloading some cognitive burden, prepare the team, reduce the change of errors, improve efficiency and etch actions into each team member's muscle memory. There are so many emergency airway controversies in emergency medicine! Dr. Jonathan Sherbino, Dr. Andrew Healy and Dr. Mark Mensour debate dozens of these controversies surrounding emergency airway management. A case of a patient presenting with decreased level of awareness provides the basis for a review of the importance, indications for, and best technique of bag-valve-mask (BVM) ventilation, as well as a discussion of how best to oxygenate patients. This is followed by a discussion of what factors to consider in deciding when to intubate and some of the myths of when to intubate. The next case, of a patient with severe head injury who presents with a seizure, is the fodder for a detailed discussion of Rapid Sequence Intubation (RSI). Tips on preparation, pre-oxygenation and positioning are discussed, and some great debates over pre-treatment medications, induction agents and paralytic agents ensues. 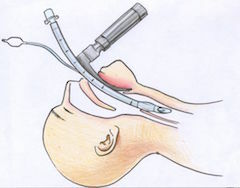 The new concept of Delayed Sequence Intubation is explained and critiqued. They review how to identify a difficult airway, how best to confirm tube placement and how to avoid post-intubation hypotension. 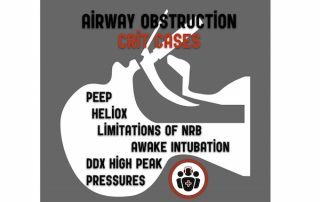 In the last case of a morbidly obese asthmatic they debate the merits of awake intubation vs RSI vs sedation alone in a difficult airway situation and explain the best strategies of ventilation to avoid the dreaded bradysystlolic arrest in the pre-code asthmatic. Finally, some key strategies to help manage the morbidly obese patient's airway effectively are reviewed.